Welcome to Izzo Masonry, LLC. Izzo Masonry brings expert and quality craftsmanship to a range of masonry services. With our knowledge & experience, we will design your project from beginning to end. Our dedication and passion for our work shows in every one of our projects. Izzo Masonry has been family owned and operated for over 30 years. We are singularly focused on providing value and integrity to our work and our customers. Izzo Masonry brings expert and quality craftsmanship to a range of masonry services. With our knowledge & experience, we will design your project from beginning to end. Our dedication and passion for our work shows in every one of our projects. With Hundreds of projects in our portfolio ranging from stone or brick restorations and outdoor living spaces, to retaining walls and stone ponds, we have an established client roster that speaks to the quality craftsmanship and competitive pricing we deliver on every project. 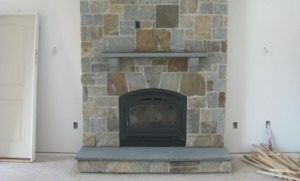 Our natural stone walls can be constructed using an assortment of stone materials that are either arranged together or are binded for additional support. 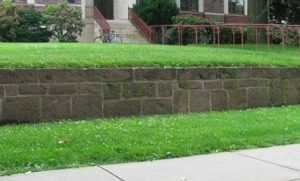 Our stone retaining walls will work to reduce soil erosion on your property, while adding elements of beauty and functionality. 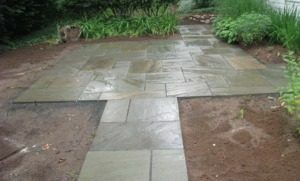 Our stone patio and walkway design and construction services are about creating an inviting appearance and functionality to an otherwise uninspiring landscape. We gain an understanding of your requirements and integrate them into your living spaces. JEJ Enterprises is a dealer for many of the top cabinet brands and can inject new life into the design of your home with a custom cabinet or counter-top installation. We offer convenient services for kitchen and bathroom cabinet installation and cabinet repair. Giacomo & Anthony’s ability is unsurpassed!! They have done many work for our home, including walkway, pool patio & coping and stonewall. All exceptional work which after many years still receive many compliments. Thank you. I hated my old concrete front stoop. Now I have a beautiful front porch that adds a tremendous amount of curb appeal to my home. Izzo Masonry did a fantastic and detail oriented job. I needed my chimney repaired asap. I called they responded immediately and did the repairs the next day. I was able to close my house on time thanks to Izzo Masonry. Izzo Masonry has been family owned and operated for over 30 years. We are singularly focused on providing value and integrity to our work and our customers. Izzo Masonry brings expert and quality craftsmanship to a range of masonry services. Contact us today to schedule your No-Cost consultation!